Kodak Apex (Adaptive Picture Exchange) 7010 Photo Printer Driver and Firmware for Operating Systems. 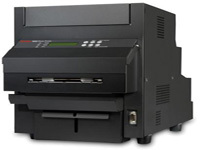 Install the firmware on all 7010 Printers connected to your KODAK Adaptive Picture Exchange (APEX system). The KODAK Photo Printer Calibration Application for WINDOWS, is a tool for calibrating KODAK thermal printers using visual or instrumented calibration techniques. , and filed under Printer Drivers and tagged 7010, apex, calibration, kodak 7010 download, kodak 7010 driver, kodak 7010 firmware, kodak 7010 printer, kodak 7010 software, kodak apex 7010 firmware.